Steve Pereira aboard the M.S. Vassa Leader of Finland, 1963. Imagine you are 23 years old and you want to travel Europe for a while just to see what you can see. You discover the unusual, adventurous and affordable way to get there is by sea embarking for Finland at the Port of Stockton. Somewhere in the rough seas of the mid-Atlantic a career is born. Fairy tale? Maybe for most. Not for Steve Pereira. 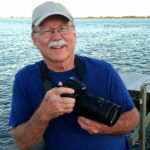 Little did he know that working his way to Europe on a cargo ship back in 1963 after graduating from San Francisco State University would lead to a long and exciting life in professional photography. Such was the case for Stockton artist, Steve Pereira, who, during the voyage, was asked by the Chief Mate to print a personal negative. Not quite immediately, but a career was born that combined his love for the sea with the beauty of great ships. 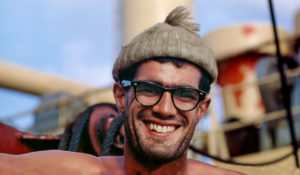 With his maritime adventures behind him, Pereira returned to Stockton and married Barbara, his wife of 53 years and opened his photography studio. Somewhere in there they actually found time to raise 3 children. Not all images in Pereira’s exhibit are ship oriented. Besides myriad photographic projects, including medical operations, presidential inaugurations, and other diverse assignments too numerous to mention, Pereira has an international reputation for his maritime photography. His 40-Year Retrospective, “Deepwater Steel”, was the inaugural exhibit for the San Francisco Maritime Center and The Dimbola Lodge on the Isle of Wight in England sponsored his first international “Deepwater Steel” exhibit. 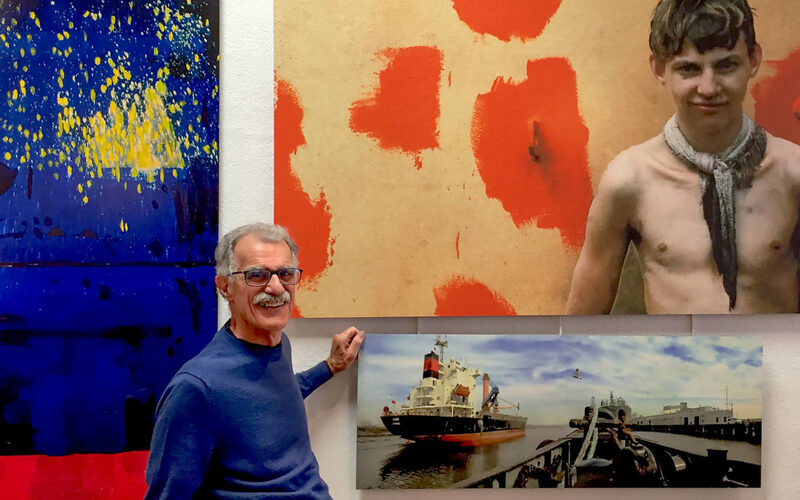 Pereira is now putting the finishing touches on his 60 Year Retrospective show at the Elsie May Goodwin Gallery in Stockton where I caught up with him to get an advance peek. This show includes works from “Deepwater Steel”, abstract interpretations of massive ships, a portrait of a young shipmate, a dangling rope ladder casting dark shadows on the hull, with some measuring 8×4 feet and all employing the use of highly saturated color. There are a few monochrome pieces in this show, as well. Since the gallery could not hang all the pieces, Pereira decided to install 2 large-screen TV’s – one for vertical and one for horizontal images – showing film clips of the rough Atlantic crossing and about 200 additional images. Asked about the lack of image titles he said, “I don’t usually name them. My feeling is if a photograph needs words to describe it, it’s not doing its job.” About the process of hanging this new show, “The Goodwin Gallery has just been a pure joy, it’s such a friendly and supporting staff. Also, I could not be doing this without my long-time friend, (artist and owner of Ram Studios) Tony Ramirez. That guy can do anything!”It’s been said that a picture is worth a thousand words. These might be worth far more, but you should see for yourself. 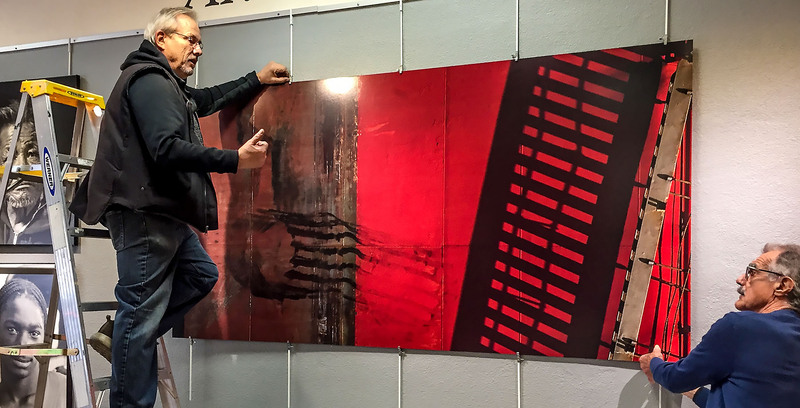 Stop in and meet Steve Pereira at his opening reception from 4pm to 7pm on Saturday, January 12th at the Elsie May Goodwin Gallery located at 1902 Pacific Avenue, Stockton, CA. The show runs through the end of January 2019 and, if you go, It will be time well spent. And here I thought that gorgeous ship photo was taken by you, Rich Turner! 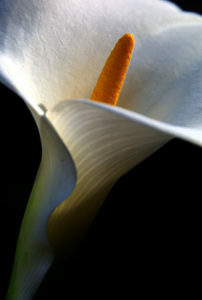 Glad to learn who the photographer is to give proper credit and will look forward to visiting the gallery Sat., Jan. 12th. 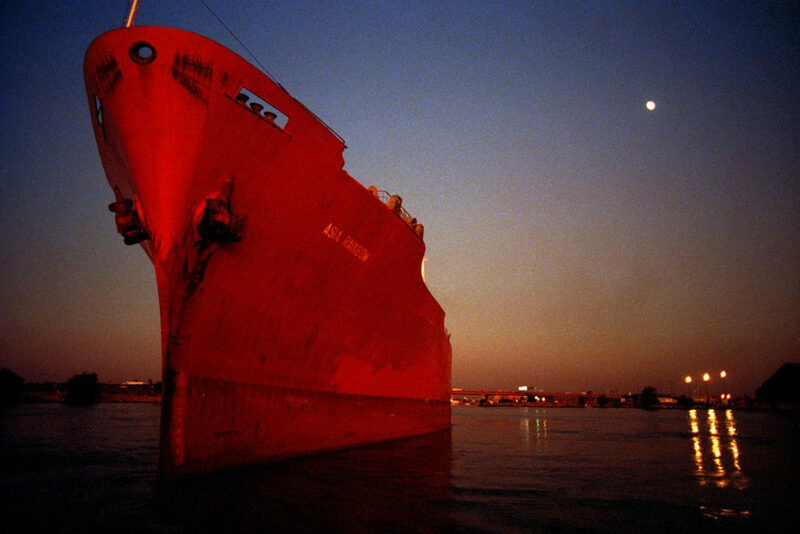 That red ship once graced the cover of the Chamber’s Resource Guide. I can’t take credit for the photo, but I can for getting the project done. Here’s to a lifetime of friendship and many more photos to come. And to Rich, where have you been my friend? I’m in southern Cal. Great story! Hi, Evenyl, great to hear from you! So glad you found us from SoCal and I hope you find time to look at the rest of the magazine. By the way, I’m still in Stockton, publishing this new magazine, and loving it! Our feelings won’t be hurt one bit if you tell all your friends about us.